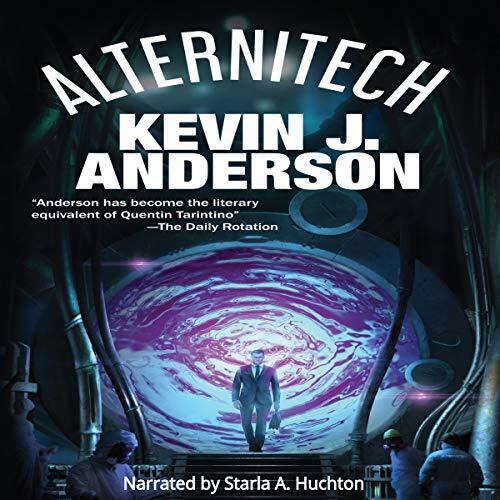 “Alternitech” sends prospectors into alternate but similar timelines where tiny differences yield significant changes: a world where the Beatles never broke up, or where Lee Harvey Oswald wasn’t gunned down after the Kennedy assassination, where an accidental medical breakthrough offers the cure to a certain disease, where a struggling author really did write the great American novel, or where a freak accident reveals the existence of a serial killer. "Alternitech" finds those differences - and profits from them. This is a collection of short stories that all take place in the same world. There are even occasional references to characters or events that happened in other stories, which is fun. I really enjoyed the idea of going to a similar but different world. This story is read by the incredible Starla Huchton. If this book doesn't appeal to you, go listen to anything she's recorded. You won't be sorry.